Baked Fish Gluten Free, your asking what is this? Wanted to share a low carb recipe for Friday. Fish is a great way to get your body back on track because it digests quickly and it’s low fat. This low carb recipe is simple, cheap, quick, and easy. Backed fish with gluten free Parmesan crust should hit the spot for those that wanted to try gluten free and still have some taste to their fish. 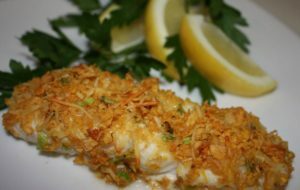 Baked fish gluten free Parmesan crust ingredients are simple to follow. I listed out the ingredients below to make this as easy as possible. I hope you and everyone else enjoys it. * Gluten Free bread crumbs – the lighter the better! * Spray Olive Oli – this will keep the dish lower in fat. Preparation of baked fish gluten free Parmesan crust is really easy as pie. 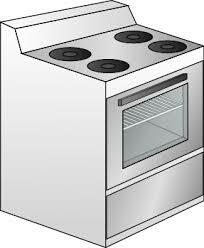 Start with turning on your oven to preheat it and go from there. But just in case if your not sure i listed out the steps below. 1. Preheat oven to 425°. Spray a baking dish for the fillets with olive oil. 3. Make sure the fish is free of moisture. Pat dry with paper towels, this keep the fish from making the bread coating mushy; season generously with salt and pepper. Place fish on the oiled pan. 4. Coat the fish with roughly 3 tablespoons of the cheese mixture over each fillet. 5. Place in the oven and bake until bubbly and almost cooked through, about 8 to 10 minutes. Temperature should be approximately 125-130° when tested at thickest part of fillet with meat thermometer. 6. Once the fish is cooked through, use the broiler to crisp the coating for 2 to 3 minutes to brown and crisp the tops. When done, the fish should flake easily with a fork. This is a great recipe to have on hand when you are trying to make healthy meals on the go. It’s also a great dish for entertaining and it goes well on salads.